Really enjoy having journals, I never knew that it could be that fulfilling also. I finally decided to make another blog for which I will dedicate for all the experiences and memorable moments of my life. I'll share all my thoughts about women, men, relationships, bringing up children and everything about family. 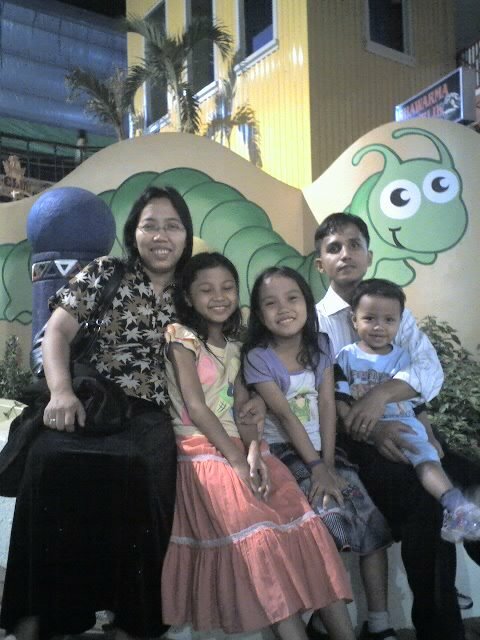 For a start here's a glimpse of my family, Ed (my hubby), Julianne Ruth, Genesis Anne and Joshua Isaac. All names of my kids came from Old Testament - the people who inspired Ed and me for their unwavering faith and dedication to our God.